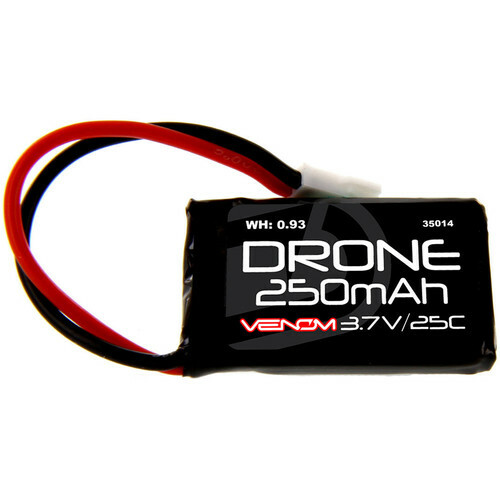 This Venom 25C 1S 250mAh 3.7V DRONE series LiPo Battery is engineered for flight, and is lightest, best performing battery for your drone or quadcopter. Whether you are flying in your backyard or garage, Venom Drone packs deliver consistent power, flight after flight. Box Dimensions (LxWxH) 4.2 x 2.3 x 0.9"